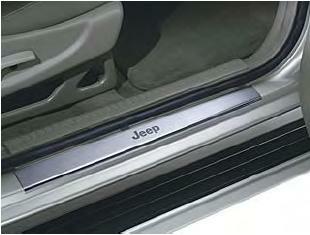 Door Entry Guards for the Jeep Liberty help protect the interior door sills from scratches. Available in brushed stainless steel and feature vehicle logo. Quick and easy installation. Stainless steel, with Jeep logo, set of four.